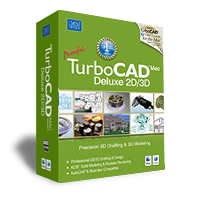 TURBTRAINMAC 00T23M01XX03 TurboCAD 2D/3D Training Guide for TurboCAD Mac - in het engels 2D / 3D-handleiding voor TurboCAD MAC (te downloaden): 2D / 3D-handleiding voor TurboCAD MAC (te downloaden): TurboCAD Mac 2D / 3D-stationsgidsen. 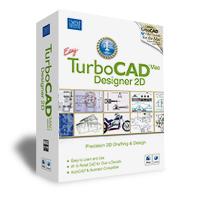 Stapsgewijze zelfstudies voor TurboCAD Mac. 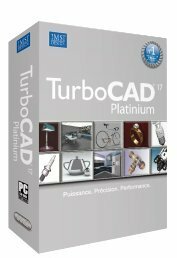 Bring ease-of-use and affordable price to computer-aided machining with TurboCADCAM. The full integration CAD with CAM and DNC produces native G-Code with no post processors 199 EUR Btw Excl.